for a smarter, safer drive. Nissan’s intelligent driving technology uses advanced radar to constantly monitor the activity going on around you - helping you better handle unexpected situations. 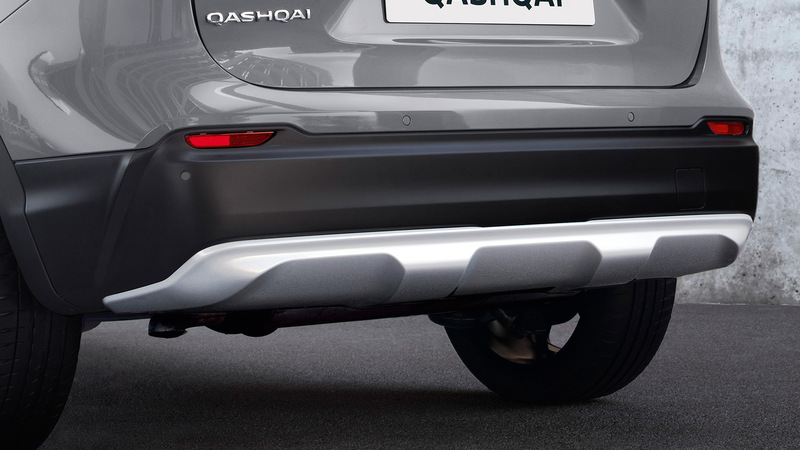 Detects and warns of obstacles ahead, if necessary applying the brakes, to help avoid low-speed collisions and reduce damage. 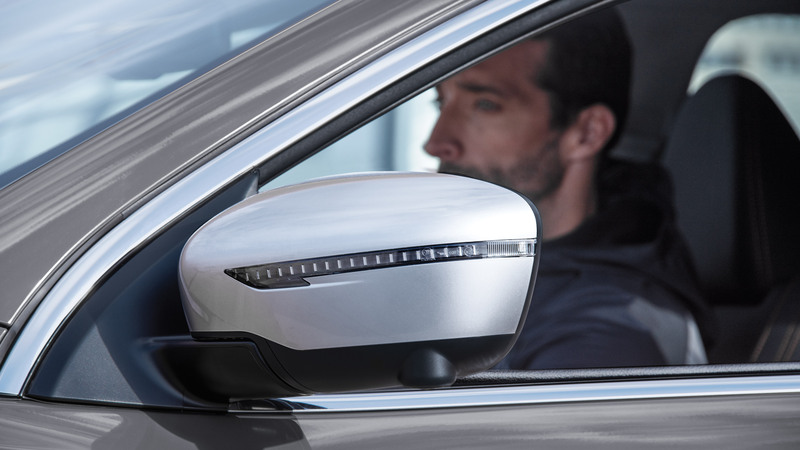 Detects the presence of other vehicles in your blind spot, alerting you with a warning indicator and an audible signal. A 360° virtual bird’s-eye view of your vehicle, helps you see in a whole new way when parallel parking or reversing into a space. stay entertained, connected and focused. 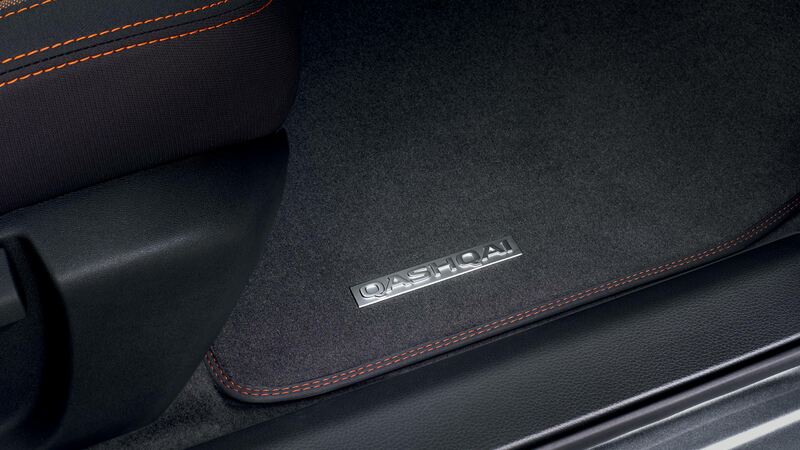 New NissanConnect Navi system keeps your ears happy and your world within reach. 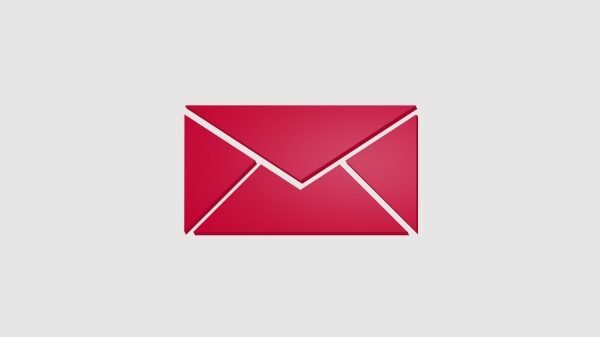 Hook up your iPhone® or compatible Android™ device to access your music, messages, contacts and more. The all new infotainment system on Qashqai comes with exciting new features like 3D Maps, Smartphone Integration, Voice Commands & multi touch 7" screen which you can customise per your preferences. 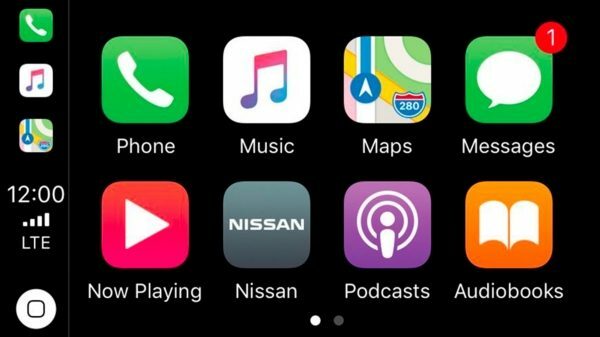 New NissanConnect Navi also brings the familiar experience of your smartphone via Apple CarPlay® and Android Auto®. People to see? Places to be? Just ask Siri®. Equipped with Siri® voice control, Apple CarPlay® brings on-board your contacts, favorite messaging apps, iTunes® library, Apple Music® playlists, Apple Maps, and more. 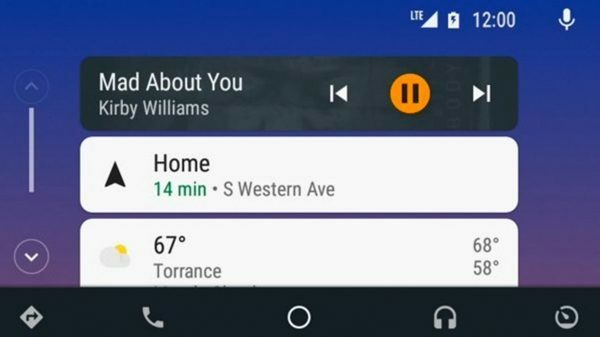 It even works with your steering wheel controls to adjust volume and toggle through screens. Simply plug in your compatible iPhone® and go. Get where you’re going with Google Maps™ as your guide and Google Play™ Music providing the soundtrack along the way. Choose a song, change your destination, or respond to a text with your hands on the wheel using the hundreds of available voice commands. SPORTY LOOKS INSIDE AND OUT. 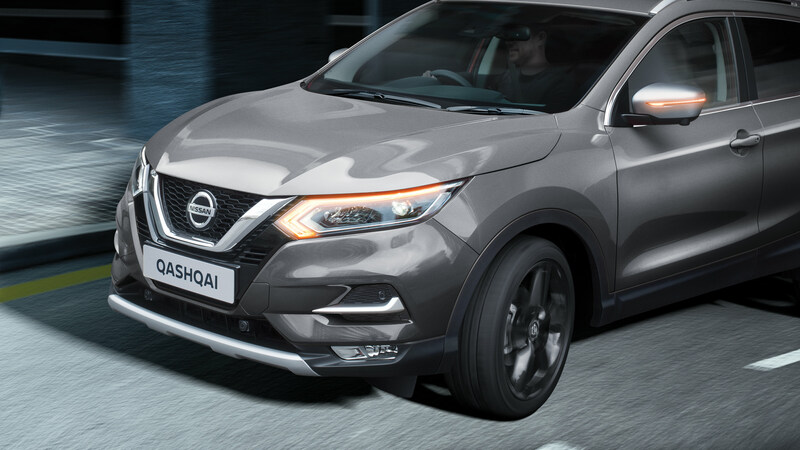 Sporty attitude, unique looks, safety and intelligence set New Nissan Qashqai N-MOTION apart from the crowd. Check out its LED front headlights, 19" Ibiscus silver alloy wheels, glass roof and more. pick your colour. choose your style. A special edition with a choice of 11 elegant, vibrant colours. 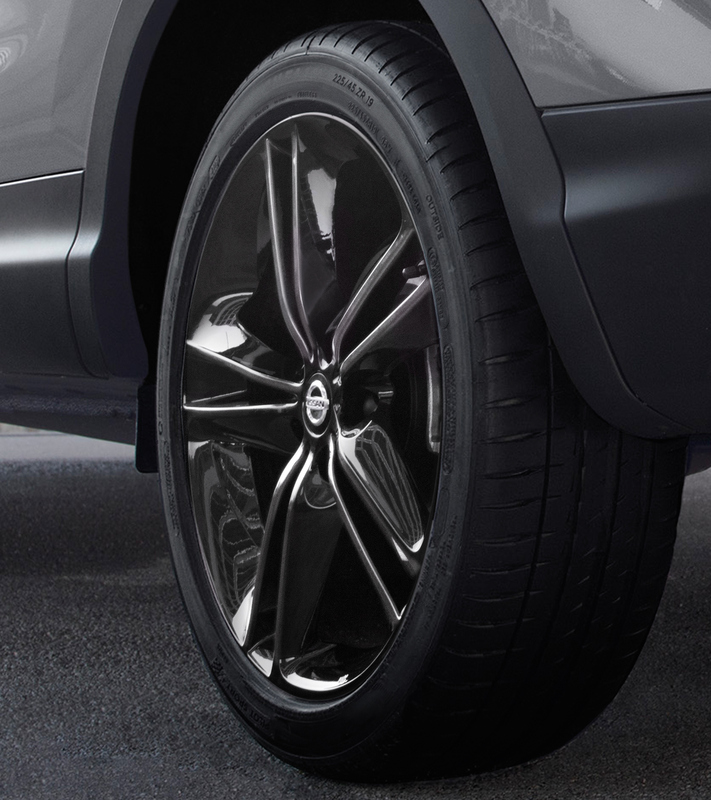 It’s sporty, stylish… and always ready to go. * Recommended on the road price includes 20% VAT, 12 month Government Vehicle Excise Duty (determined by Co2 emissions figure and fuel type), Government First Registration Fee and Gun Metallic paint.